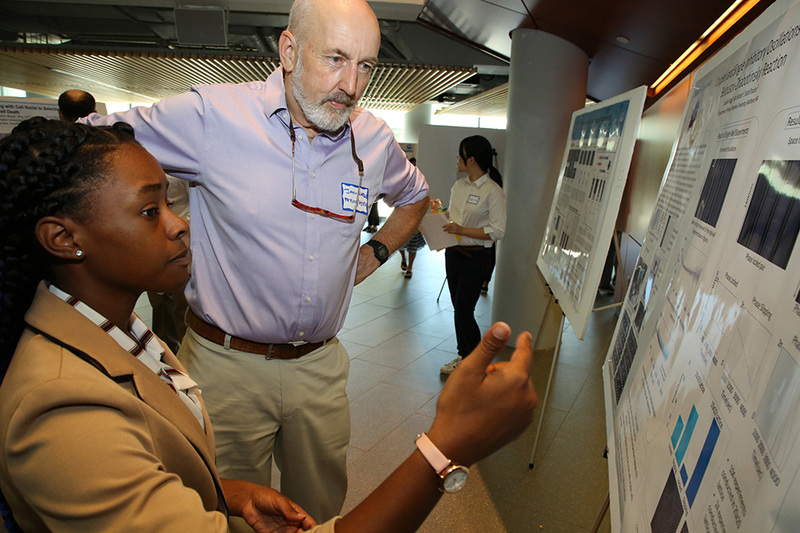 SciFest is an opportunity for summer undergraduate researchers to present their findings to peers and the community. Brandeis undergraduates and visiting students have the opportunity to spend their summers working in labs doing scientific research. A SciFest participant presenting her poster. 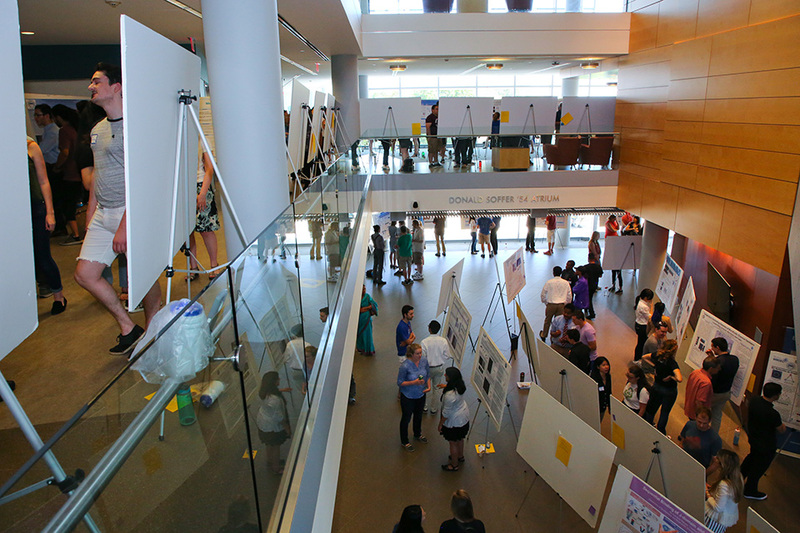 A poster is used to summarize the students' summer research. The brain is the most complex adaptive system in the known universe, and understanding how it generates thoughts, feelings, and behaviors is one of the final scientific frontiers. The undergraduate degree in Neuroscience at Brandeis will provide a deep and general scientific education, while exposing students to the fundamentals of how neurons and neural circuits function and adapt. Students will take classes from internationally renowned Neuroscientists who are actively engaged in cutting edge research, providing an up-to-date view of a rapidly advancing field of study. 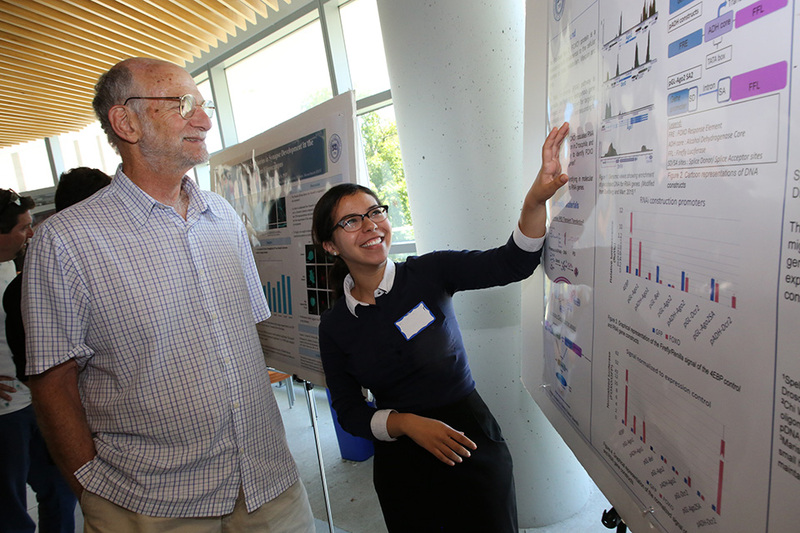 In addition to class work there are many opportunities for undergraduates to participate in laboratory research, where they will join a thriving research community of faculty, graduate students, and postdoctoral researchers. A large fraction of Neuroscience majors do senior honors research, and many become authors on scientific publications. Our majors are exceptionally well-prepared to pursue further training in PhD or medical programs in Neuroscience and other Biological sciences. The Neuroscience laboratories are housed within the adjoining buildings of the Science Complex, and this close proximity facilitates the high degree of collaboration and exchange for which Brandeis has become famous. Neuroscience faculty can be found in four participating departments (Biology, Biochemistry, Psychology, and Chemistry). The University Bulletin will provide you with more information regarding how to become an undergraduate concentrator and the courses of instruction.